It has never been easier for students to access multimedia for projects than it is today. We currently live in an "open source" world where we can easily search text, images, and video content for various uses. For example, our students use images from the internet all time time when creating PowerPoint Presentations. However, when students grab images form the internet, they aren't always grabbing "Copyright Free" images. This is actually a big problem. 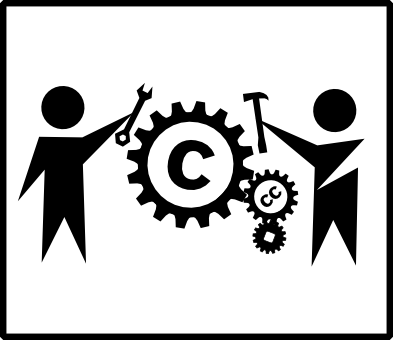 So, this blog post is dedicated to helping teachers and students easily locate "Copyright Free" images to use and modify for various projects. Therefore, to help with this problem, I have created a short screencast video to demonstrate just how easy it is to search "Copyright Free" images, and how to easily integrate them into our projects. Hopefully, after watching this screencast video, you will know about the importance of using "Copyright Free" images, in addition to using these images at your convenience. In a later post, I will feature how to easily search and use "Creative Commons" videos. By the way, please feel free to share this video with others, I have posted it to the Creative Commons community via YouTube! Looking forward for more tips about this easy ways in searching that you have shared to us. It was one piece of informative blog that you share. Thanks! These are actually great ideas in regarding blogging. You have touched some pleasant factors here. Hey there, You've done a fantastic job. I will certainly digg it and for my part recommend to my friends.